The Lives They Left Behind: Suitcases From A State Hospital Attic! 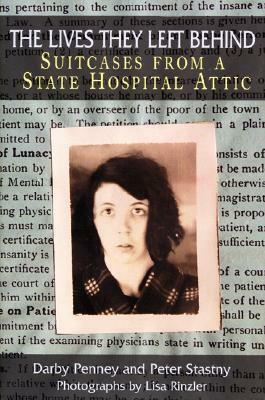 This is a fascinating book about these people’s lives and about the hospital itself. The authors are incredibly patient detectives, who tease out a great deal of facts and details from these suitcases, chart notes, and interviews with hospital staff members, many retired. They locate living relatives of the deceased patients and also interview them whenever possible. The reader feels as if one is reading a riveting detective story x 10, but it is non-fiction, which makes it all the more remarkable. 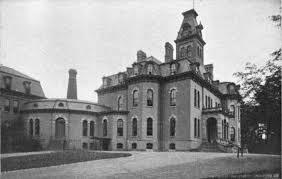 The “The Willard Asylum for the Insane,” opened in Ovid, New York in 1896. It closed in 1995. 54,000 people were committed to Willard during its 126 years of operation. Most patients stayed at Willard for an average of 30 years. One woman for example, arrived 1899, and died 77 years later in the hospital at the age of 100. Half the patients who entered the facility died there. 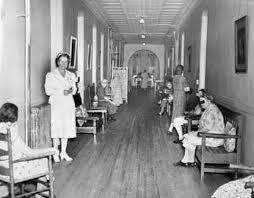 Many of the people who were admitted to Willard would not meet the criteria for involuntary hospitalization today. Many were immigrants, who had experienced a series of major stresses in their lives such as the death of a spouse, loss of a job, poverty, homelessness, one woman was regularly beaten by her spouse. There was a nun who left her order and had nowhere else to go. And of course, many patients did have major psychiatric disorders. Today most of these people, if lucky enough to be able to GET treatment, would receive short-term treatment on an outpatient basis, living in board and care homes. Or they might live on their own with case management, or as quite often occurs, they would live on the streets with no medication or treatment at all, either because services are unavailable, or patients are non-compliant. Many mentally ill people today, who could be helped by a short stay in a psychiatric hospital, therapy, and medication, are unable to receive these services and end up living on our streets (Barton, C. 2006). What makes this book so interesting, is not these grim statistics, but the detective work the writers embark on to tell the stories of these people’s incredible lives. Who were these people who were left behind and forgotten? Where did they come from? Why were they left here for so long? What was their story? The bulk of the book examines these people lives and answers these questions, and it is a riveting read. You will find yourself drawn into to these people’s lives and experiences, taken back to the times they lived, and you will see their experience through their eyes. This is a major accomplishment on the part of these four authors. The authors, one of whom is a psychiatrist, and another a journalist and advocate for the mentally ill, are all exceedingly patient, master-detectives. The suitcase project eventually became an exhibit, that traveled around the country and I have included the following link for you to see. It gives an idea of how interesting and compelling this book is. 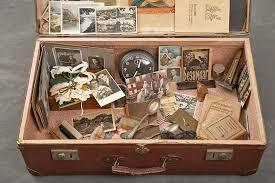 (Photo Source: The Suitcase Project: The Lives They Left Behind). ← Need A Little Caribbean Right About Now? Cindy this is so interesting and so sad. I was hoping for some time during the break for reading and haven’t yet. I am placing this on my book to read list. Yes. I was so impressed with what the authors accomplished. Many of these patients clearly did not belong in the hospital. But, today they would be left on the streets. We need a much better mental health system in this country, starting when people are young, in order to prevent much of the heartache we are experiencing now. Adding to my growing list on Goodreads! Never enough time, always too many books. It’s on my list now – sounds fascinating – like bringing people back to tell their stories. Very much so. It was like they were speaking to us after being silenced for so long. Yes. I basically read non-fiction now. It is so much stranger than fiction! Does the book leave you feeling hopeful. Just reading about the project and looking at the photos makes me feel sad. Do the authors believe we are doing a better job on the mental health front these days? One would hope so but I wonder…. They don’t address this. They speak for these people which was strangely beautiful. They had been silenced and forgotten for so long. Their concern for these people was palpable and impressive. They have much to teach us. Yes, it is very sad, and no, I don’t think we are doing a better job with mental health care now, at least in the US, which is the only country I know about. So many people here are uninsured or under-insured for mental health care, that they go without. This is especially tragic with young people who could be significantly helped with early intervention & with people for whom medication would work, but is not available. But it is tragic period when ill people are forced to live on the streets like they do in every major US city. That is interesting to know. We don’t have the insured/uninsured dilemma here but, as with most things, there is never quite enough money to do what needs to be done. True, but I suspect worse in the US! Thanks so much for all your thoughtful comments. All of them are much appreciated. So interesting! Once I had a idea of Blogging an abandon Hospital in Changi, but the place is haunted somehow. After consideration, I drop the idea as worry about the wandering soul might follow me back home, and become the key master! Cindy, you article is great, I love it very much! Well done! I have 2 books for two Institutions here in New England Waltham and Tewksbury both in MA with stories such as this one spoke of. Eunice, yes sadly this is not an isolated occurrance. Thank you Sydney. You are such a kind person. Happy New Year to you my friend! It was. Thanks for visiting & Happy New Year! Amazing how mental health care in this country has gone from one extreme to the other, from people being kept way too long in facilities like this to people barely being helped at all these days. The history of mental care is very interesting and this looks like a great read, Cindy–thanks for sharing! Becky, you just made an excellent summary of MH care delivery in the US. Thank you & Merry Christmas, you smart cookie! This has to be the Willard State Hospital in Ovid, NY that closed down in 1995, I volunteered at that hospital for a few weeks. It was a well run facility. It actually had medical facilities and operating rooms. The first hip replacement I saw, was in 1980, at this hospital. Major improvements in procedure and equipment since. One interesting step in the procedure was using a file looking instrument and using a hammer to hammer it into the Haversian canal in the femur where the artificial hip is connected into. Bone marrow flying everywhere. The patient did well though. In fact, he got out of bed the next day. Yes it is. Yes I seen a hip replacement. Much like sawing down a tree. Fascinating that you volunteered at Willard! Thanks for posting. Reading the post, It dawned on me; hey, I used to live only a few miles from that facility. I believe there were a lot of mentally handicapped people, as well as mentally ill. I don’t know if they had many community residences back then. I’ve added this to my list of “to reads”. Thank you for the recommendation! You do just great with the English and you are right. Sad isn’t it. Any friend of Sydney’s is a friend of mine. Welcome! We have yet to understand the complexities of how to address mental health, but we have come a long way. Hearing the stories is a powerful motivator to see our lives in a different way. Thank you so much for another excellent post!!! Canada is ahead of the US in terms of health care delivery and mental health access. There are many in the US that could be successfully treated, but are denied access to care due to an inability to pay for it. This should not be the case. I wonder what people would have to say 70 years from now, if they accessed mental health records from one of the CMH facilities in the US? Probably, why were these people not offerred care? It was available. Cheers to you Rebecca & as always, thank you for your thoughtful comments. wow the statistics~unreal, I will put this on my list of books to read as well. I am non fiction reader as well. Yes. Sobering. It is actually a strongly positive book which maybe I didn’t get across well. These people were given back their identities, better late than never. Let me know what you think & thanks for commenting. Cindy, Not only the review was interesting, but your response to each comment also was quite informative. Thank you. Fae. Thank you Fae. Just sent your post on your Japanes feast to my Japanese friend. Most impressive my dear, as are you of course! It does sound very interesting, however old history is often more interesting than recent history…all those bothersome details can be smoothed over or well, they have just disappeared. As a reader of many, many charts of long term residents in nursing homes, one of the weird things that often seems to happen is that the main thing, the one that everyone knows about isn’t well reflected in the notes – because everyone knows about it and the new (minor or major) transient things are written and become highlights, but wouldn’t necessarily be the core of the person being written about. If we read what someone else gathered on our lives 70 years from now would we recognize ourselves? I wonder. Great post Cindy. Interesting. A little more than 30 years ago, my grad school buddy and I, Lory Kitamara ( I will send this to her) for our graduate thesis utilized The Freedom of Information Act to examine all state inspection records of San Diego County Nursing Homes. It was a trail of tears of course. Awful stuff swept under the rug. We published. We went to Sacramento and reported. It got a lot of attention. And then……30 years later you are reading nursing home records. I bet little has changed. And a big, YES! I have always been compulsive about charting. Drilled it into my interns and staff. These are critically important records. Take your time with them! Curious to know why you are doing this? Thank your for the interesting comment. History does gloss over so much, which is why I usually read everything I can about one subject, in a group, so I can play detective, and tease out my own perspective. Cheers to you & Happy New Year! Hi, just realized this feature was here…sorry about not replying sooner. I was a Quality Management Advisor for healthcare, and at a different time a consultant dietitian and program manager for a bunch of dietitians (for a while in Calif/Wash/Idaho/Hawaii, but mostly Wis). I did a lot of reviews in a lot of facilities over many years. And the conflict is always between action/doing and recording, often both get slighted. Other than that I was thinking about our preoccupation with problems, which is a poor way to record someone’s life. And I had just read about the Vermont Eugenics effort in the early 1900s-1940s, which Hitler identified as one of his templates. 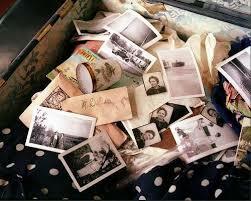 My grandmother saved, recorded and then my mom collated letters, births, deaths of one branch of my ancestors. Including Daughter’s of the Revolution data…this was part of the first Americans Eugenics effort. Hmm. I am also the current owner of that whole box of books my mom put together. So anyway history was feeling a bit close and heavy. Hope you had a wonderful holiday. Fascinating set of coincidences with you. I am going to repost this on your blog comment sections somewhere so we stop missing each other. My final research project in graduate school was on The American Eugenics Movement. My professor, who I eventually took and passed our licensing exam with, very much wanted me to publish, but I was tired, burned out of school and wasn’t up for it. So, I happen to know quite a bit about the Eugenics Movement (not specifically in Vermont) and it’s influence on modern day genetics and on ultimately on the third reich. Not cheerful reading by a long shot. The history you are holding is very important and at some point you may wish to do something with it or not. Up to you. But you are a very interesting and insightful person and I am glad to have met you in blogsville. If it makes you feel any better all the the mental health profession is problem/disorder focused which is totally frustrating. There really is no such thing as “mental health,” which is sort of ludicrous since it labels a entire profession. It is very common historically for people who “rock the boat” politically or socially to be labeled as mentally ill. Most of the people who were institutionalized for life, as recounted in this book, would not meet any standard of “mental illness” today. They were not actually mentally ill. They were inconvenient. Just reading the answer to a comment from above I come from the Creative ArtsTherapy tradition but I must say that I also favour Behavioural Cognitive therapy in the sense that I have a “fight back or go under” attitude. By that I mean if you have depression – get out there and walk (endorphins) and while you are there listen to the voices in your head and get them under control so that they don’t control you. I like to work with emotional memory and talk with the kids about their emotional piggy bank. Every win is a gold coin in the piggy bank of resilience. So accurate and so beautifull expressed. I am afraid that some mental health professionals, in their zeal to make livings, and efforts to mysticize their craft, disempower people, and make them victims of their disorders. Everyone has the power to shape their lives and destinies, to choose to find the gratitude, to find the beauty. It is here for all of us. And most of all, there is no such thing as a mentally healthy person. This is a misnomer. They are degrees of severity, but the mythical mentally healthy person is the figment of wishful imagination (and lack of professional self awareness). By defining people as mentally ill, or healthy, we rob them of individuality and self actualization.